Due to carriers shipping regulations this product is required to ship by ground and cannot ship to PO Boxes or APOs.  This product is only available for shipping within the continental U.S.
Alcohol denat., Water (aqua/eau), Octylacrylamide/acrylates/butylaminoethyl methacrylate copolymer, PEG-12 dimethicone, Keratin, Hydrolyzed keratin, Helianthus annuus (Sunflower) seed extract, Cucumis sativus (Cucumber) fruit extract, Camellia sinensis (Green Tea) leaf extract, Vaccinium macrocarpon (Cranberry) fruit extract Triethylcitrate, Aminomethylpropanol, Fragrance (parfum), PEG-12 allyl ether, Phenoxyethanol, Chlorphenesin, Benzoic acid, Sorbic acid, Hexyl cinnamal, Hydroxycitronellal, Limonene, Linalool. Q. Do I need to use Toppik FiberHold Spray? A. 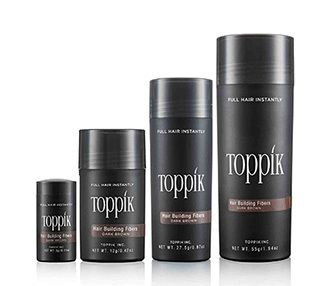 No, but if you are looking for added hold, Toppik FiberHold Spray strengthens the bond between Hair Fibers and your hair, while adding shine. Q. Are there any special warnings about the use of Toppik FiberHold Spray? A. Due to carriersâ€™ shipping regulations this product is required to ship by ground and cannot ship to PO Boxes or APOs. This product is only available for shipping within the continental U.S. Enables precise application of Hair Fibers into focused areas. Use when applying Hair Fibers for a natural-looking hairline.